Often confused as a vegetable, green beans actually belong in the beans and legume food group. The legumes are known to contain high levels of essential vitamins and minerals that help stave off a plethora of diseases that range from diabetes to heart disease. 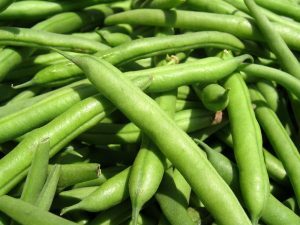 There have been a lot of recommendations on preparing green beans, but an article in WHFoods.com suggests quick steaming to optimize the nutritional value of the legumes. Green beans are low-calorie, low-fat legumes that contain high levels of fiber, which make them ideal in preventing cardiovascular diseases. The rich flavonoid content in green beans provide anti-inflammatory effects. Previous studies have shown that green beans contain anti-thrombotic properties that help stave off blood clots in the arteries and veins. This in turn protects the body against diseases caused by thrombotic activity such as cardiovascular disease, heart attack, and stroke. The legumes are also known to keep diabetes in check. According to previous studies, legumes such as green beans help manage and regulate diabetes symptoms. Green beans are known to provide hypoglycemic effects on diabetes patients. The legumes are also notably high in chlorophyll that inhibits the carcinogenic effects of heterocyclic amines, which are produced by grilling meat. Green beans are also touted to prevent the development of pre-cancerous polyps that could lead to colon cancer. Recent studies have shown that higher green bean consumption may reduce the risk of colorectal cancer and cancerous adenoma recurrence. The high fiber content in green beans are also known to facilitate the digestive process and promote healthy bowel movement. This makes the legumes an ideal go-to superfood for certain gastrointestinal issues such as constipation, hemorrhoids, ulcers, and acid reflux disease. The antioxidant-rich legume is also known to boost the body’s immune system. Green beans contain essential antioxidants — such as quercetin, kamferol, catechins and epicatechins — that stave off the harmful effects of free radicals. In addition, green beans are also known to contain high levels of carotenoids such as lutein and zeaxanthin that help prevent the onset of macular degeneration. The legumes are also found to contain high levels of vitamin K and silicon that fortify bone density and prevent bone deterioration and osteoporosis. The high iron content in green beans are found to promote fertility and pregnancy. On the other hand, the legume’s high folate content are known to protect prenatal status in unborn children. Green beans are known to benefit the heart and the circulatory system, the digestive system and the immune system. The legumes are also essential in maintaining eye health, bone health and the female reproductive system. Green beans can be eaten by itself or as a side dish to meat recipes. Green beans are also perfect as a finger food and could make an ideal salad staple. Green beans prevent heart disease, colon cancer, and diabetes. The legumes also stave off eye diseases, bone issues, and prenatal conditions. Green beans benefit the heart and the circulatory, digestive, and immune systems. Green beans also promote eye health, bone health, and fertility.